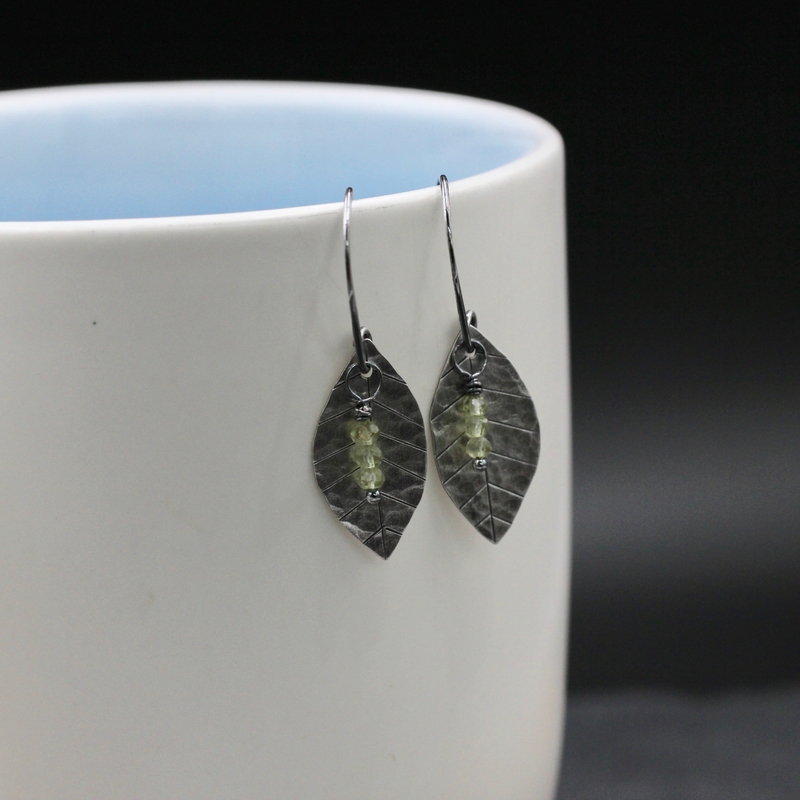 These dangly earring were formed by cutting, stamping, and hammering leaves from sterling silver sheet. 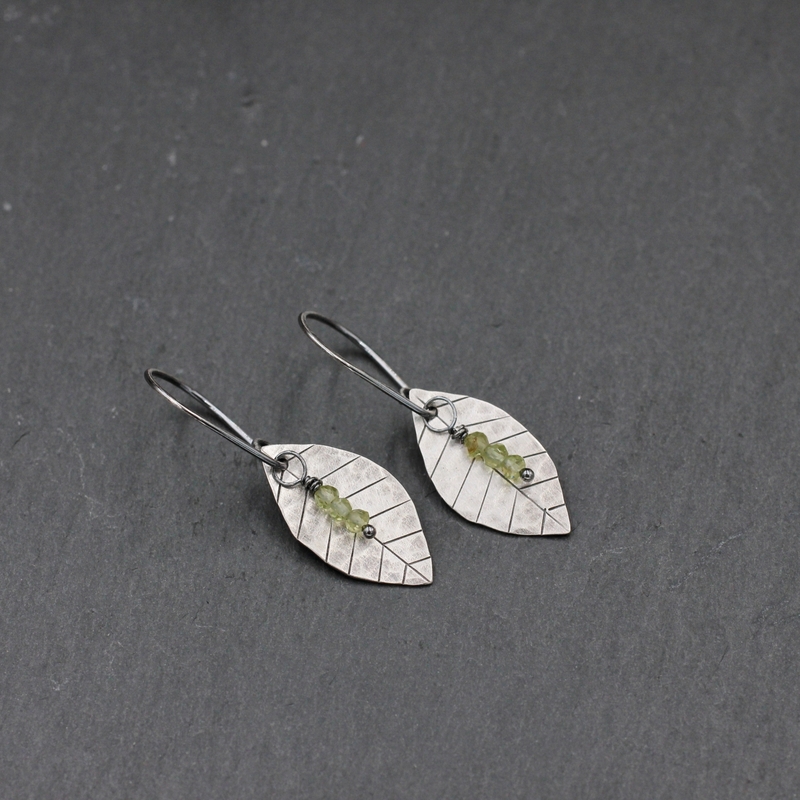 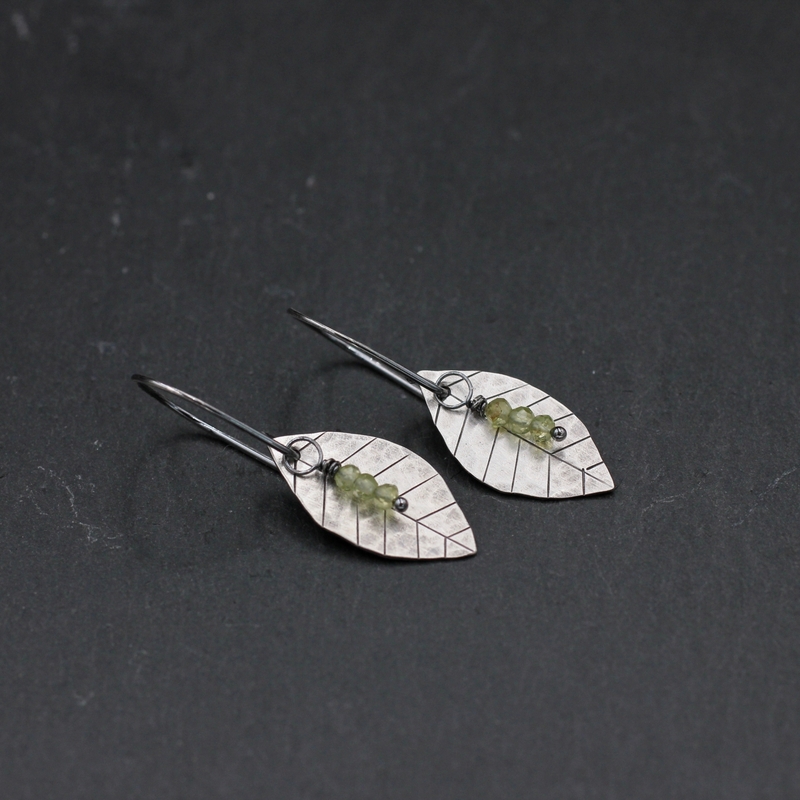 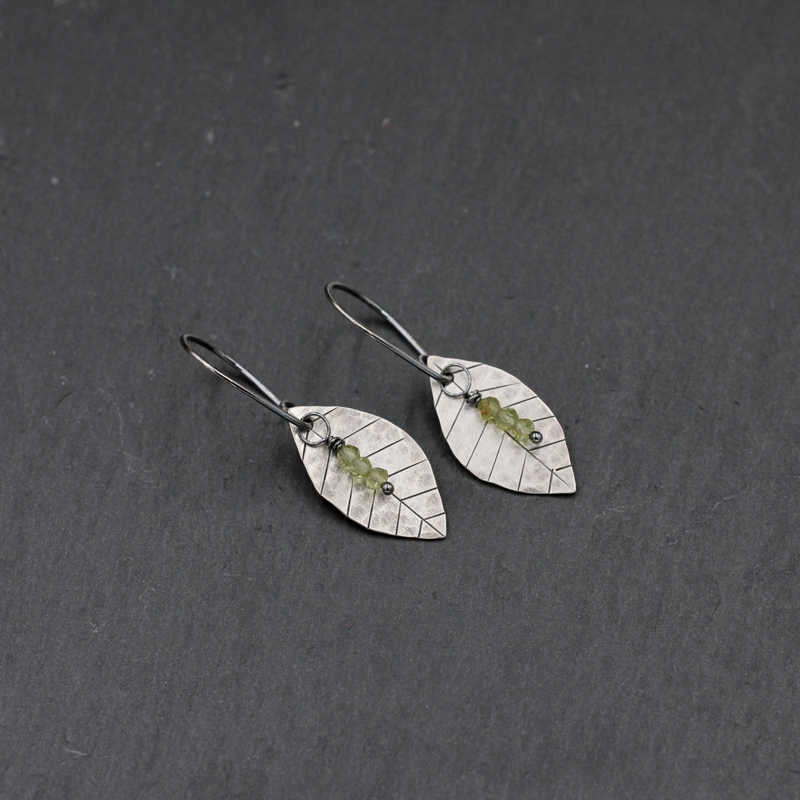 Tiny faceted peridot stones dangle in front of the leaves which hang from hand formed ear wires. 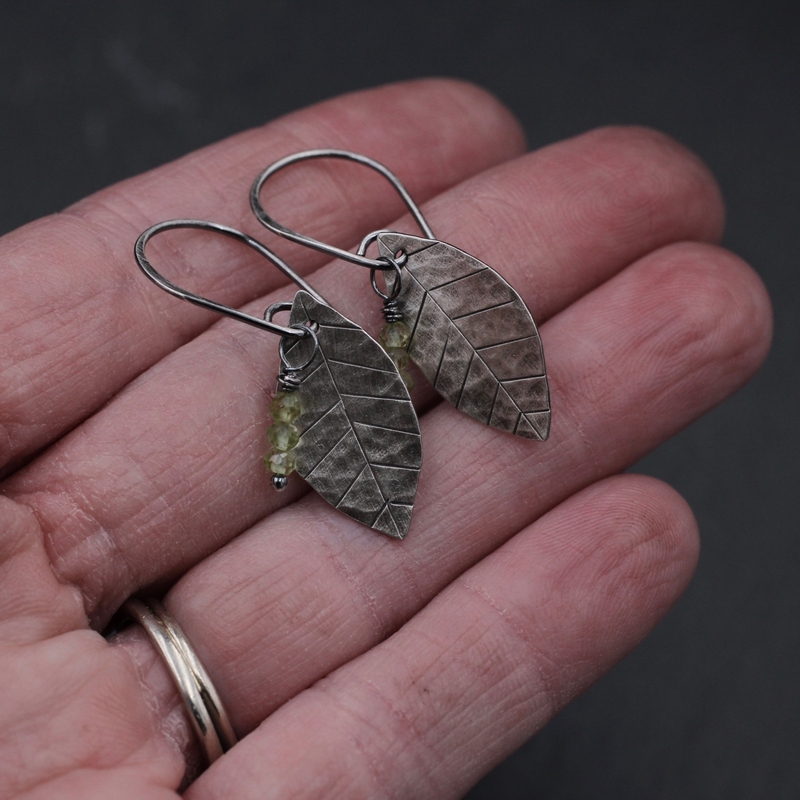 The earrings hang about 1 1/2 inches (3.7 cm) from the tops of the ear wires.